The legendary Repovesi National Park is simply a must see for every nature-lover, as is the Mustila Arboretum. What’s more, both attractions are known for being quite family-friendly, too. What else is there? Well, you can golf, go rock-climbing, take in a midnight concert at Hiidenvuori or check out the mighty Kymi River tour the local museums and mansions, or go shopping! Selections of culture courses can be a combination from the following fields! Every year we welcome approximately 120 new international degree and exchange students in Kouvola, That makes the atmosphere in the campus truly international. International students closely collaborate with the local students both in educational and free time activities. The International office of South-Eastern Finland University of Applied Sciences welcomes the new incoming exchange students by organizing Orientation days. The purpose is to introduce the tools and platforms, used during the studies. As well you will get to know tutors – people who will help you settle down and feel comfortable in the new environment. Orientation days, for the autumn term, 26-27 August 2019, and 13-14 January 2020 for the spring term. Living in multicultural environment, etc. 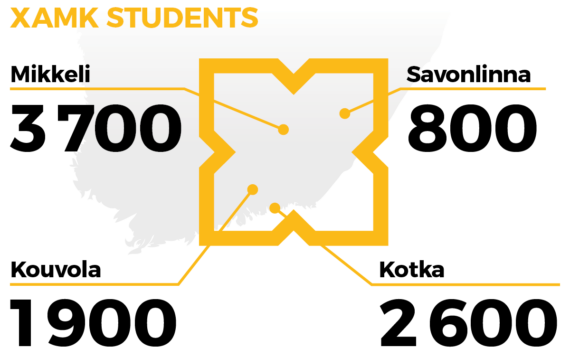 Exchange students, who study in Kouvola, are normally accommodated in Kouvola city’s student residence in Kuusihaankatu, located about 4,5km away from the campus. and 2km from the city center. Each apartment consists of either 2 or 3 rooms with shared kitchen and toilet facilities. There is a total of 100 rooms in 2 houses at Kuusihaankatu. The rooms are furnished (if arranged through XAMK) and ready for moving in. Each apartment has a high-speed cable Internet connection. Prices vary from approximately 250 to 280 euro/ month Please, note that we cannot guarantee you being accommodated in a preferred (two- or three-room) flat. There is a bus connections to and from the campus. If you are traveling via Helsinki Airport, you most likely will prefer to use a train connection. If you are coming from Helsinki city center or other cities in Finland, please, check Matkahuolto or Onnibus web-pages for the options. If you are arriving from St. Petersburg, you can consider taking the Allegro train to the Kouvola train station. We arrange pick-up services for all incoming exchange students in arriving in Kouvola at the travel-center (train and bus central). However, you have to notice that the pick-up can be arranged only between 8:00-22:00. We expect you to arrive 1 - 4 days prior to the Orientation days. Please, remember to fill in the arrival information form in SOLEMOVE as soon as you know the precise date and time of your arrival to Finland so that we can arrange the pick-up. The excess on your insurance must not exceed 300 euros. Your insurance must cover medical expenses up to 100,000 euros if your studies in Finland last less than two years. Your insurance must cover medical expenses up to 30,000 euros if your studies in Finland last two years or longer. Do not take out regular travel insurance. It is meant for holiday trips lasting less than three months. You must have insurance for your entire stay in Finland. Your insurance must be valid at the moment of your arrival in Finland. 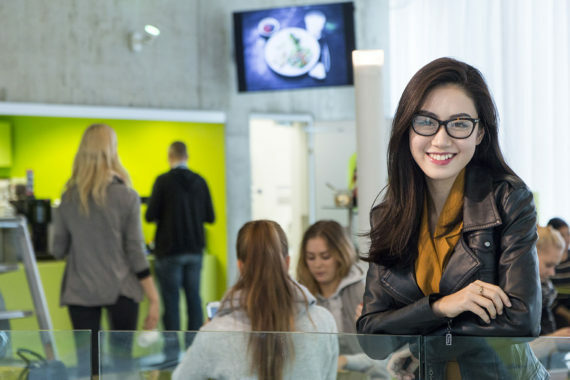 If you intend to study in Finland for one year or longer, take out a one-year insurance policy. Be sure to renew your insurance policy prior to expiry. Make sure not to terminate your insurance policy, or you will have to cover your medical and hospital expenses yourself. Those with a European Health Insurance Card (EHIC) do not need separate insurance. According to EU legislation, you can have access to health care at the same cost and under the same conditions as people living permanently in Finland. By presenting the European Health Insurance Card, you can prove your right to necessary medical treatment in another EU or EEA country and in Switzerland. With the card, you can get medical treatment if you become suddenly ill or have an accident. You can also get medical treatment if you have a chronic illness that requires medical attention. The card also gives access to necessary treatment during pregnancy and childbirth. The European Health Insurance Card is recognised within the public health care services as well as by private doctors and hospitals that have signed a health insurance agreement. More information on the European Health Insurance Card can be found on the website of the European Commission. Next to your health insurance, we strongly recommend that you take a liability insurance covering you and your belonging. Also in the case that you do damage to others. The City of Kouvola offers many alternatives for spending your leisure time. Multiculturalism is also evident in many of the city’s events. Kouvola has many alternatives in the field of sports. There are also special sports groups for immigrants. Ask more from Kouvola’s sports-services. Leisure services are also offered by Kirjasto, the city library. At the library, you can borrow literature in different languages, use the internet, borrow DVDs and CDs, read newspapers and take part in plenty of more activities. Also the museums in Kouvola offer a wide range of high-quality art and culture experiences. You can also voluntarily take part in the activity of different clubs and societies. Leisure activity specifically aimed at immigrants is organised by, for example, the local Red Cross , the International Meeting Point at the Saaga Centre of Multiculture and the Kouvolan Korttelikotiyhdistys ry. Next to what the city of Kouvola is listing a lot of events and happenings are handled by the student union. BYOD is an environment, which is widely used in many business and educational institutions. The BYOD environment is a collection of workstations, printing solutions, security, software, user management and so on. For students it means that students primarily use their own devices like laptops. New students arriving in XAMK from August 2017 on will have our new policy in action. The new BYOD policy demands students bring their own devices, i.e. laptops, to campus. All exchange students are welcome to join our Student Union and benefit from being a student of XAMK.